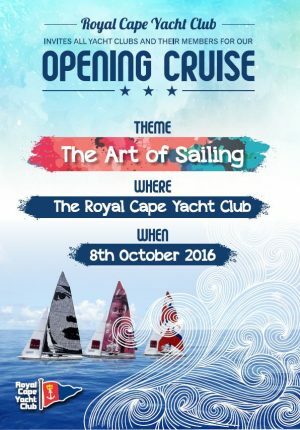 The Royal Cape Yacht Club is grateful in receiving confirmation of your attendance at the Club’s 2016 Opening Cruise celebrations on Saturday 8 October 2016. 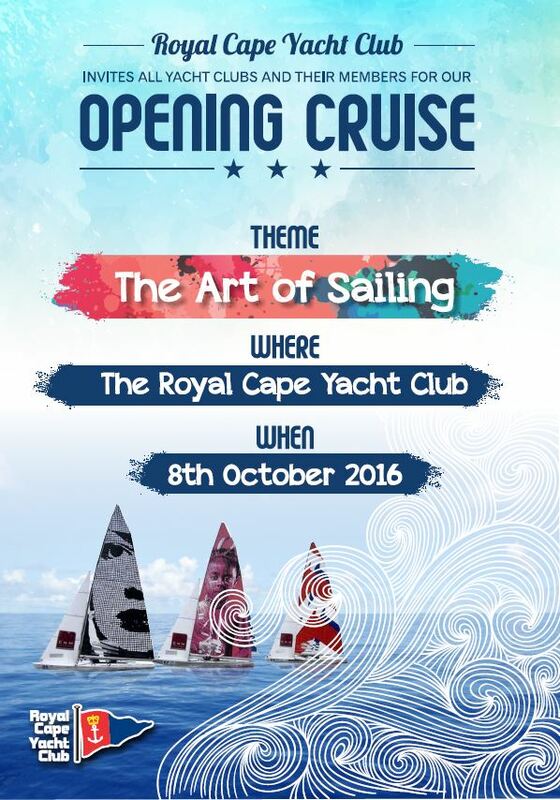 The Opening Cruise is themed “The Art of Sailing“ – so expect to see an exciting array of colourful vessels and crew. The Club will be hosting you and your partner at our Visitors Lounge area prior to the official speeches and start of the event. At 11:45 you’ll be asked to join the rest of our members on the Club Deck area in preparation for the official speeches and start of the Season. Speeches are expected to be concluded by 12:30. However you are invited to attend the Sail-by cruise which will take place in Table Bay from 14:00. A Salute will be received by the Commodore and our Guest of Honour who’ll both take position in the Bay to be determined on the day. · SCARLET SUN leads the Fleet. · All vessels dip Burgee as the Salute and may also ‘shout three cheers’. 14 Continue at your leisure thereafter. Wet weather routine: Speeches & Blessing in Main Hall 12h30, Blessing and firing of cannon on deck, All vessels depart for sail past at 13h00, Led straight to Saluting position 13h45, Regatta Centre opened to all at 15h00.